In this 9 minute video from the guys at The School of Photography, you're introduced to what they think is the best used camera you can get. What is it? The Canon 5D Mark II. Some of the reasons they offer include its quality magnesium alloy construction, the fact it's a full-frame camera that works well in low light, and its high quality video. They also consider some of the possible negatives such as storage device issues and lens compatibility problems. The price they give is roughly USD $600. My searches here in Japan came up with about $700 so you should be looking in that range. However, I was unable to find a used body on popular sites such as Amazon and B&H Photo Video, so you might have to do a little bit of searching online if you want to get your hands on one. The one thing that I agreed with the most from the video and wished I’d been told when I first started out with photography was that getting a good quality full-frame used camera at a low(ish) price is a much, much better option than getting a brand new crop sensor APS-C format camera at a similar price. That's exactly what I did and almost all my peers did too but every single one of us then moved on to a full-frame camera because of the limitations that an APS-C format camera has. It would have been much better to buy a used full-frame camera such as the Canon 5d Mark II or similar and then kept that as a backup should anything ever go wrong with my current Canon 5D Mark IV. As it is, my original APS-C camera is currently sitting in my bedroom gathering dust and hasn't been used in years. What do you think? Firstly, about the choice of camera and secondly, about the idea of going straight to a used full-frame camera instead of getting a brand new low-end APS-C format camera and then upgrading to full-frame down the track? Let me know in the comments below. I buy all my camera's used,just bought a Nikon D3's for $850 and only 18K shutter actuations works great! Grade A condition. When you buy full frame top end camera's you get all the features of that time. I think this would be my strategy going forward, especially as I never sell them, too emotionally attached... yeah, I know it's just gear, maybe I should stop giving them names. For bodies, the best deal in photography hands down is the Nikon D800. It’s a beast of a camera and can be easily had for less than $1000 with low clicks. I picked up mine for $900 with 5k actuations. When the d810 came out, many offloaded their d800s with really low mileage. That is a great deal. Canon 5D MkII for $600-700 or a D800 for $900. If you’ve got the extra couple hundred floating round then get the D800 for sure. Might possibly be the best VALUE used camera your money can buy, but it's definitely not the best used camera your money can buy given the fact that you can buy just about any camera including current models used. Yeah I guess there’s an implication in there that what you’re getting for $600(ish) is hard to beat. 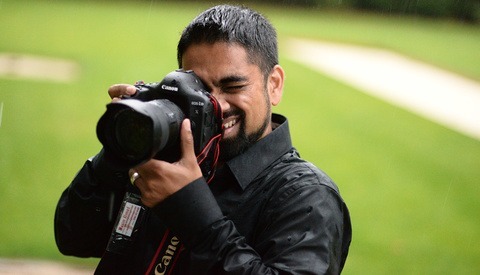 My first digital full frame was the Canon 5D MKII, and it is great. I now shoot the 5DSR and the MKII is my backup. I was in Iceland in June and one of the other photographers dropped his Sony A7 R iii in the water and boom! Ruined camera. The big deal is that he had sold all of his Nikon equipment and he had no backup. Since the film days, I have never traveled without a backup. It gives me piece of mind that 5D MKII as a backup still uses all of my EF lenses. If I go mirrorless, it will be a supplement to and not a replacement for my fine quality DSLR gear. Finding a used MKII for anyone is a good idea. Perfect example of my thoughts. As I shoot a lot of sports and surfing my 2nd camera is now the 7D MKII. I always bring it along with me but if my FF were to crash and burn, I’d be stuck with a APS-C format camera. Speaking of Backup.... Privately I shoot film a lot, and once in a while I regretted not having a Film SLR on location when I did a shoot. Recently I bought a near mint original EOS1 for a steal and the awesome thing is, that I can switch to film back and forth with almost no hassle because I just have to bring a second or third body. That´s the great thing about the EOS ecosystem. You are making me jealous. I sold most of my film equipment to finance digital. Lately, I have been going back and scanning my old film negatives and slides and making nice prints. It has a look that is just different than digital. I still have my canon T90 and a 24 to 105 lens. I think I am going to take it out and experiment. Film equipment will never be obsolete. Unfortunately the T90 has an FD Mount. Maybe sell the T90 with the lens and reinvest the money into an EOS Film SLR Body that is perfectly compatible with all your EF Lenses. Interestingly some Lenses do react quicker on the old EOS1... For example my 85 1.2L Mk1, it a little faster when its attached to the Eos1. Don´t get me wrong, it works like a charm on my 5Ds but its a hint better on the Eos 1. Anyway, go out, try it out and shoot film again. Recently I could pursuade my aunt who has been a full time photographer for more than 30 years to shoot on her Mamiya again that had rested on a shelf for the better part of the last decade. Film has a future, maybe not in press photography, but its a legitimate medium of choice. Good advice. I just went on Ebay to take a look. What is the difference between the EOS-1, the EOS-1v and EOS-1hs? I switched from a 1Ds MkIII (which has the same sensor as the 5D MkII) to Micro Four Thirds four years ago. The 16MP MFT cameras at that time rivaled my previous 1Ds MkII. Today's MFT cameras roughly equal the 1Ds MkIII & 5D MkII in terms of detail, dynamic range and noise. Also, my MFT lenses equal or exceed my Canon lenses, even the L zooms, particularly in terms of sharpness at the edges and freedom from vignetting when shot wide open. 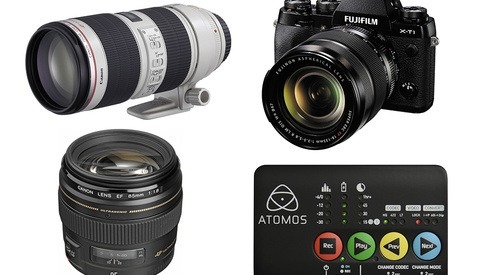 If 5D MkII-level IQ is what you're after, Panasonic and Olympus have a lot more to offer. For $600, I'd take a mint-condition used Panasonic GX8 over a used 5D MkII any day. What was your original reasoning for going MFT? Any regrets? I liked my Canons for work, but I wanted a lightweight kit for travel & landscapes. Thought MFT would complement my Canon gear, but wound up replacing it instead. No regrets. Might buy some premium (f1.2-f1.4) primes, though, for more light gathering, as I shoot corporate events for a living. If you like that article, you might enjoy this earlier one as well. That's me in the front row with the pony tail. The 5D Mark II is still a great camera. It will be a long while before I give my 3 bodies up. They provide plenty of resolution and are a workhorse like many of the other older FF bodies. If you are setting up a studio or photography business grab two 5D II bodies and have at it, they will get a lot of work done whilst saving you money over the new bodies. Since I already have a5D mkiii, the best used camera for me is the 7d mkii (extra reach, better auto focus, almost identical to the 5d3 in form)... Got one for £724 a few days ago and will be taking it for a spin while covering an event tomorrow. The auto focus is lightening fast, makes my 5d seem sluggish. Assuming that a person has absolutely zero currently invested in any camera system and was on the market for a camera today, I would probably suggest they get a used MILC body over a used DSLR. Buying anything DSLR related today is a bit awkward because you're buying into a technology that's on its way to being phased out over the next few years. At least if you get a used MILC, the native lenses you buy will carry over to future cameras. So while the used DSLR would probably provide you with the better photos and user experience in the short term, it would be a worse long-term investment for a new person just starting out. For better or worse, it seems pretty clear that MILC is the direction that the market is headed and the R&D dollars of the major manufacturers will follow accordingly. It's unrealistic to expect companies to stretch themselves so thin in a shrinking market space. That leaves DSLR's to likely stagnate at or near their current levels along with the optics, accessories, etc. that support those systems. Of course there's always the chance that one of the companies could take the Leica route and just focus on DSLR's the way Leica focuses on rangefinders, but they'd have to be willing to re-position themselves in the market for that and I'm not sure which company would be willing to do that. 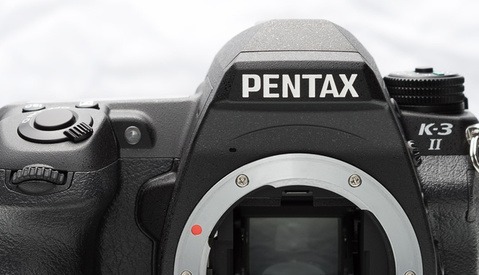 Maybe Pentax since they're already relatively niche? I have the Nikon D750. It has changed my photography life. No regrets. I almost bought a used 5D Mark II, but found a great deal on a gently used Mark III and bought it instead. It makes for a great pairing with my 7D Mark II; their dimensions and control layouts are very similar, making it easy to switch between them. I'm very satisfied with this setup.